Kaby lake vs SkyLake: Is Intel 7th generation worth it? 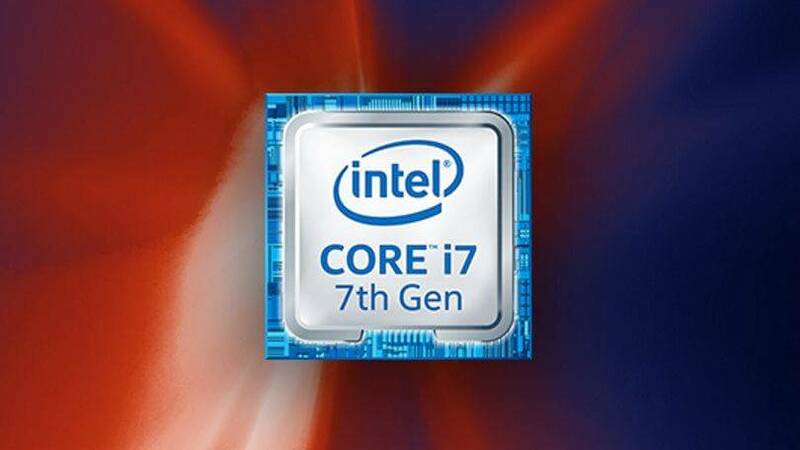 The Intel 7th generation Processors have started taking over the desktop CPUs since its launch in early January. More and more users are shifting to Intel Kaby Lake for better performance. Also, everyone is excited for AMD Ryzen Series. The Ryzen 5 & 3 could power most of next generation gaming PCs. Coming back to Intel, the question one everyone’s mind is, Is Kaby Lake worth the upgrade? You’re soon going to find out once we finish our detailed comparison of Intel Kaby Lake vs Skylake. Let us first have a look at the changes made in the Kaby Lake series. 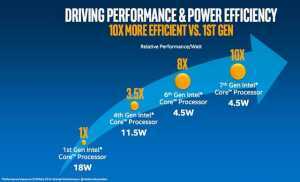 If we compare the Intel Kaby Lake Series with the 1st generation processors, the Intel 7th generation is 10 times more power efficient in terms of relative performance/watt. At the same time, the 6th generation processors are 8x more power efficient compared to the first generation. Also, the improved 14nm+ manufacturing gives a slight edge to Kaby Lake in terms of power efficiency. If you’re using a Laptop with 7th generation processor, you can also expect better battery backup. Nevertheless, it is a minor improvement and should not be much of a concern. 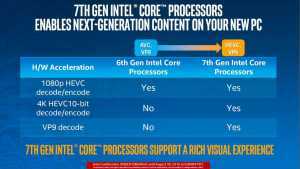 Intel 7th Generation Processors adds a support for 4K HECV 10-bit decoding and encoding also VP9 decoding. This should improve the performance of Intel HD Graphics but it doesn’t matter if you’re using a dedicated GPU. If we consider gaming performance, most benchmarks show that the gaming performance has slightly increased but that’s all due to the increase in the clock speed of the processors and not because of any improvements that are done in the processor’s architecture. The above benchmarks should give you a better idea about the bottlenecking. As long as you’re using the perfect CPU and GPU pair, you’re good to go. 7th generation CPU would not affect the gaming performance in a great way. If you own a high-end dedicated GPU like the Nvidia GTX 1080 or the GTX 1070 then the Kaby Lake Processor will boost your PC performance but it would hardly change anything if you own a mid ranged GPU like the AMD RX 470 or Nvidia Geforce GTX 1050 Ti. Yes, Kaby Lake is good for gaming but so is Skylake. 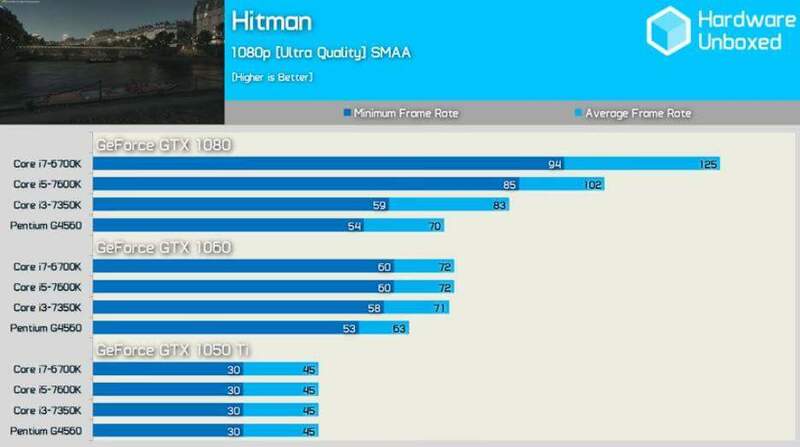 If we specifically talk about the GPU, then you can have a look at their performance below. Recommended: Intel HD Graphics 520 and Intel HD Graphics 620. Kaby Lake vs Skylake: Who is the final winner? Since the Intel 5th generation Broadwell, we have minor improvements in two of its successors, i.e. Skylake and Kaby Lake. Most of the improvements are in terms of optimization and better Integrated Graphics. In the gaming point of view, it would not matter if you own a Skylake or Kaby Lake CPU but your GPU is the one that matters the most. Why should I go for Kaby Lake? Why should I stay on Skylake? Those who are planning on staying at Skylake, keep an eye on AMD Ryzen 5 and Ryzen 3. They would provide great performance at a very low price. You can also watch out for the upcoming Intel Generations which might have the 10nm manufacturing process. So that was all we have to say in our Kaby Lake vs Skylake comparison. Do share your views below.